Two flavors, one great catch. We’re about to make shrimp-lovers very happy. We’re adding large, sautéed shrimp to two of our fan-favorite dishes. How’s that for big news? Now every season is shrimp season. 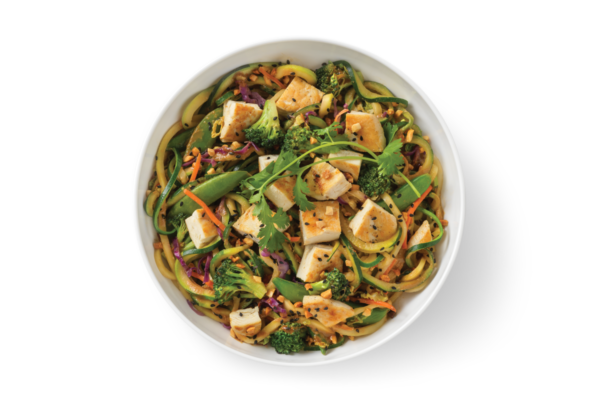 The best ideas happen over a good meal. This one happened over two. 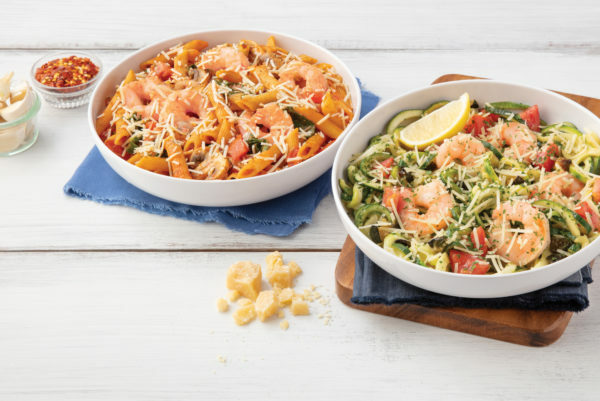 For a limited time we’re adding large shrimp to two popular Italian flavors. 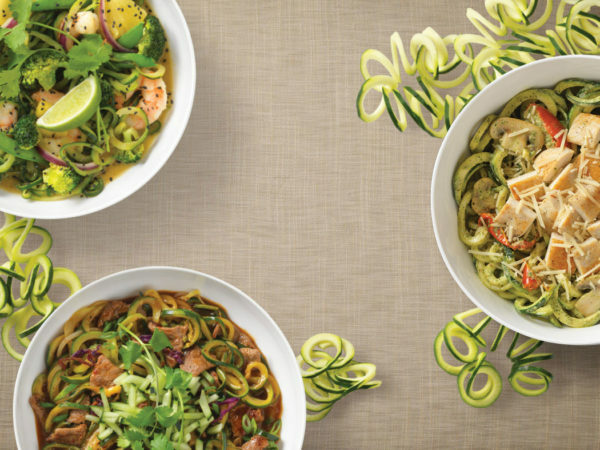 Try our new Shrimp Scampi sautéed with freshly-spiraled zucchini noodles or classic Penne Rosa with spicy tomato cream sauce and fresh parmesan. It’ll be a great catch no matter what you order. 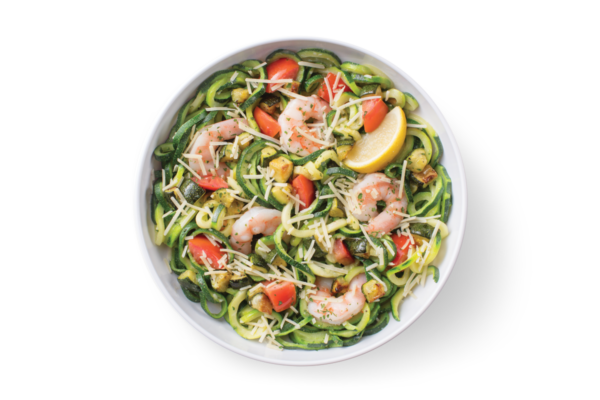 Light, crunchy and low in calories, Zoodles are great in any dish. Substitute them in your favorite entrée.